Idaho consumers were warned of paving scams by door-to-door contractors who quote high price and deliver sub-standard products for repair works. 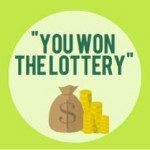 It has been well known that 419 and similar lottery scams are using some big names for their scams. Big names such as Yahoo, Coca Cola, Heineken, MSN, etc are not spared by the scammers in the plot. Now, this news report about scams that uses the name of well-known celebrity to boost the “credibility” of their “get-rich-quick” schemes (aka scams).